Wild Mushroom Risotto and Youtube. This is and old recipe from a few years back. I’m re-posting it because I’ve set up my Youtube channel. I guess I should have done this years ago, but hey ho. Let me know what you think!! A new feature of this theme is a smart shopping list. If you have the ingredients below open on your phone. Just tap the grey circle next to each ingredient as you put it in your trolley. It automatically crosses it out and you can move onto the next. Try it now, it works on the desktop too. Love this! What fun doing a video. I’ve only done one and much harder than it looks. Risotto looks gorgeous too. Its a milestone birthday next week, so I’m going to get a GoPro and do some proper videos. As you say, its a lot harder than writing a blog post! 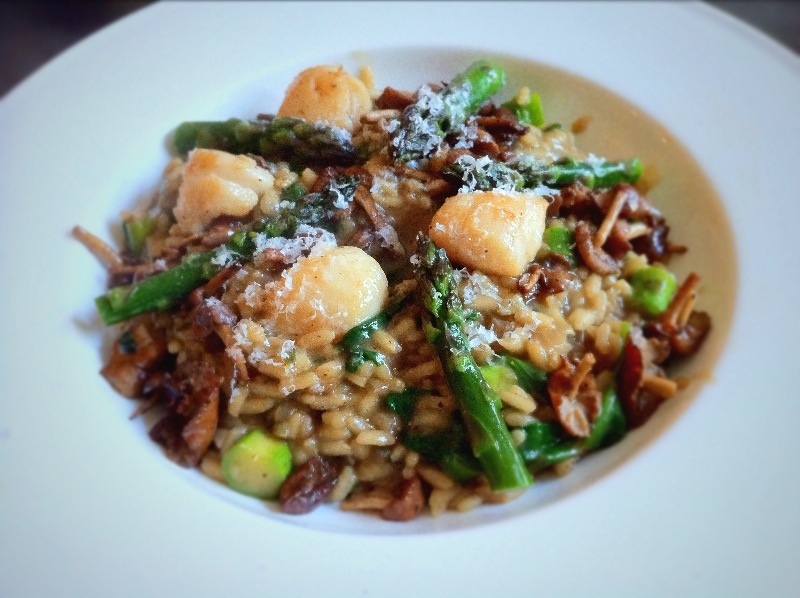 I love mushroom risotto and this looks hearty and delicious. Love the video as well. That looks amazing Dave, the video was really good too. I had read that adding the stock all at once makes for a sticky starchy risotto but you’ve obviously proved them wrong! The mushrooms look fabulous, I often make risotto similarly except I use dried wild mushrooms and use the rehydrating liquid as the stock to intensify the mushroom flavour. I love that you added the spinach at the end, wilted spinach is wonderful and would pair with the earthy mushroom flavours very well. Congrats on the youtube site!